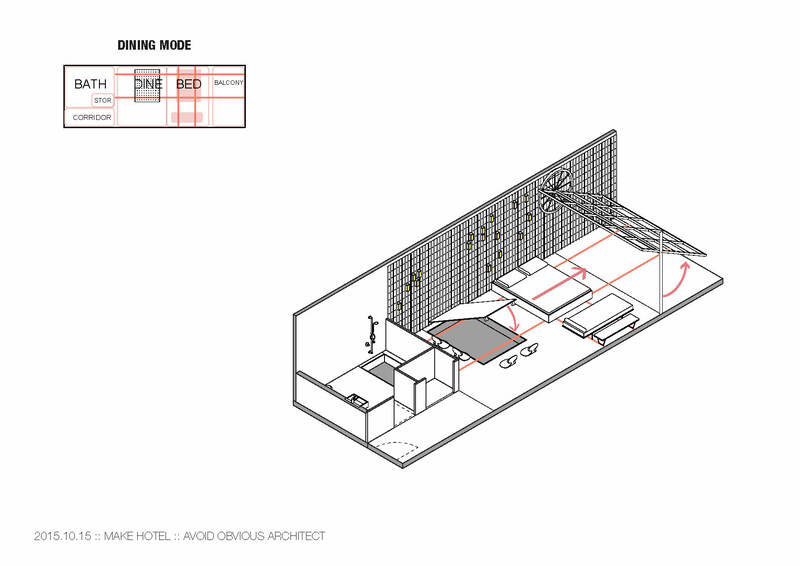 This is a research started by Avoid Obvious Architects to rethink hotel for the 21st century. Other than exclusivity, high-end materials and moody lighting, current hotels are not embracing the maker and entrepreneurial movement. Can hotels be customized by their patrons for different needs? 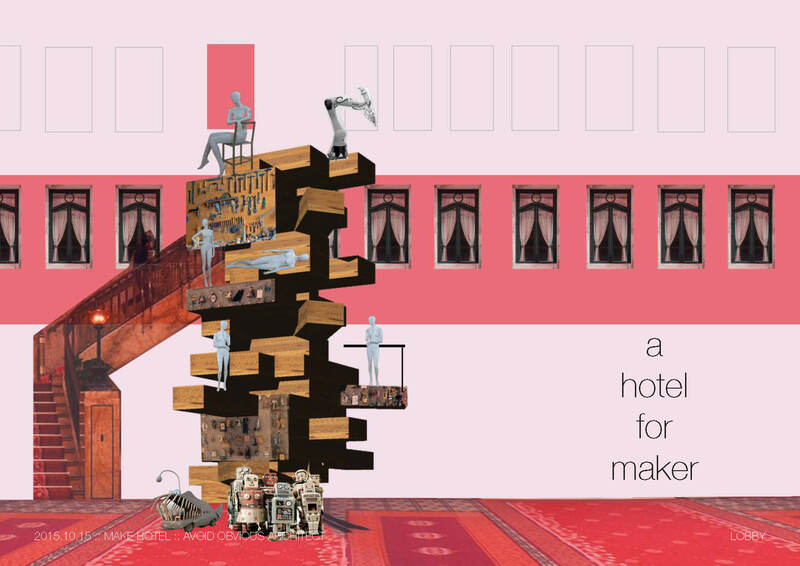 How can a hotel become less curated by its operator but more opens for public engagement? Some people work at night and some people sleeps during the day. Current hotel room is very inflexible to adapt how people work, live and play in the 21st century. 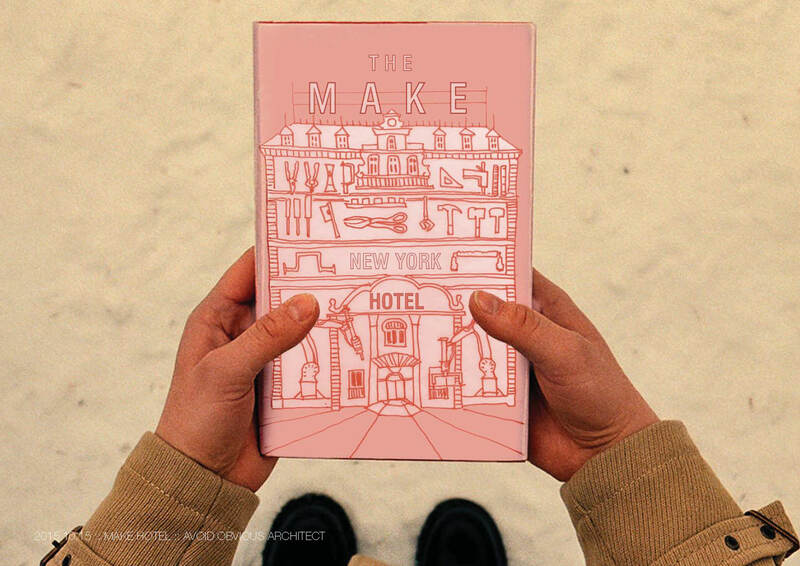 Our Make Hotel is a hotel for makers with futurist suggestion using current technology. It is daring design but a very feasible one. What if the bed is turned into a working table? What if the windows are movable to allow the bed to roll outside to look at the sky? 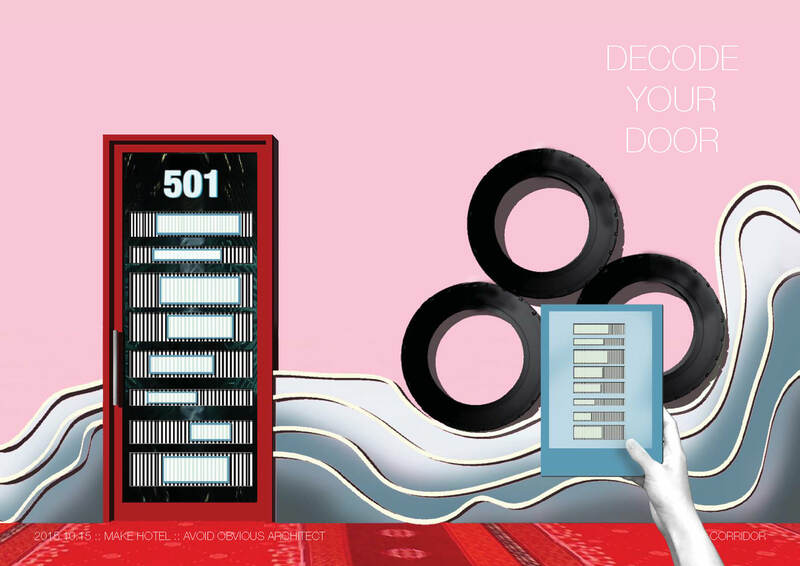 What if the door is a combination lock that require us to unlock in creative ways? What if the ballroom become a playground? What if the lobby is a giant Jenga? 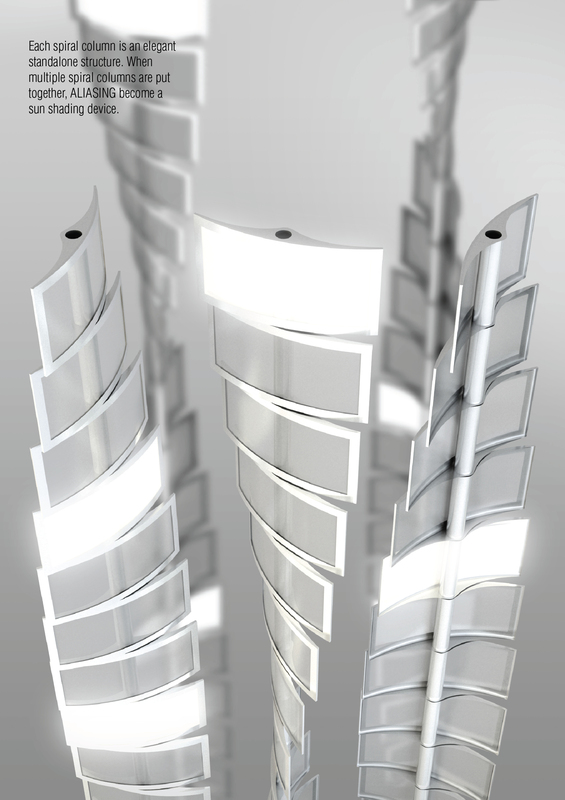 Aliasing is an array of wind turbines that uses OLED technology as the blades. 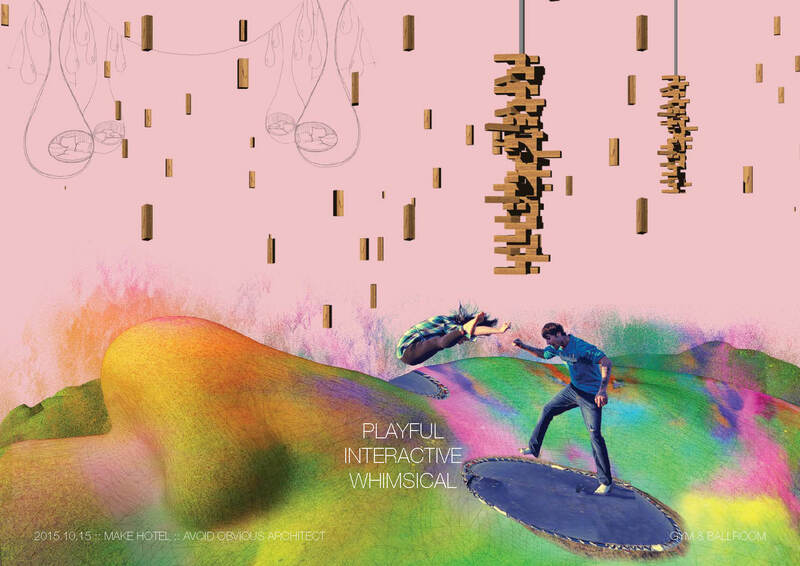 The result is a sustainable billboard powered by wind. 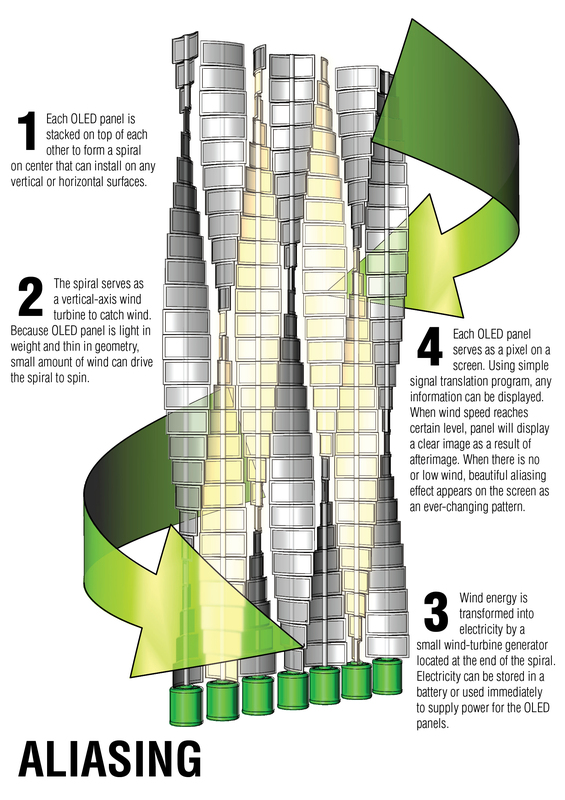 Each OLED panel is stacked on top of each other to form a spiral which serves as a vertical axis wind turbine to provide energy for information display. 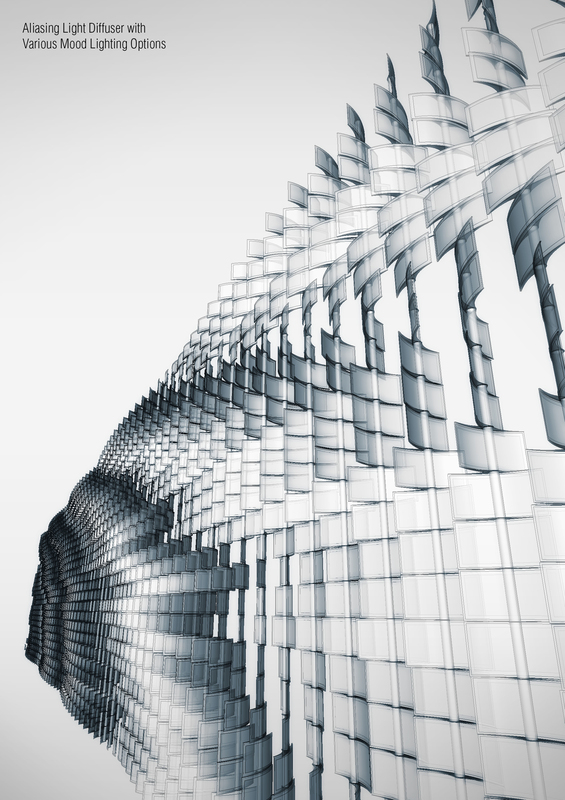 During the windy day, ALIASING will provide viewers with ever-changing patterns. It is a billboard sculpture that captures both the dynamics of wind and viewer’s attention. 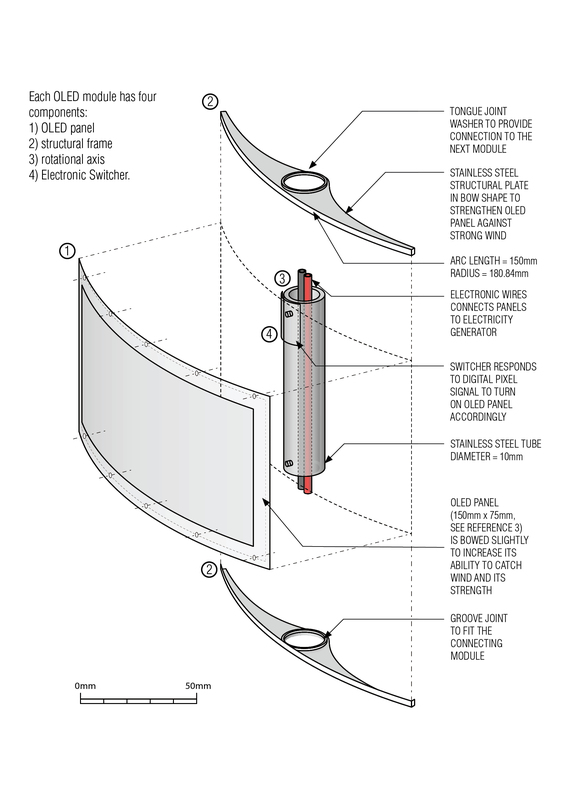 At night, the lit OLED panels are highly visible. It displays information just like a regular screen but with a special aliasing effect. 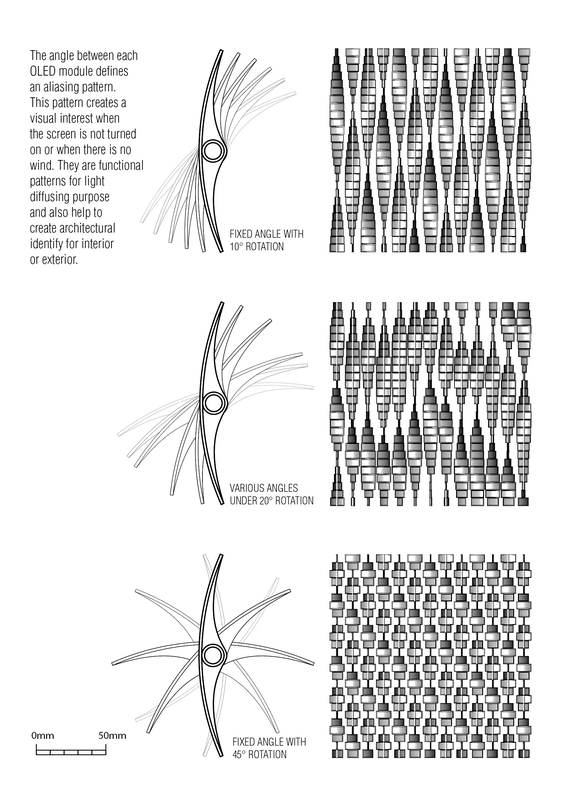 ALIASING is a dynamic sculpture even when it is static. The degree of rotation between two OLED panels controls the pre-defined aliasing patterns. With proper control of transparency, each pattern can be a wonderful light diffuser and sculpture. ALIASING can be installed without electricity generators in an interior space to provide partition and mood lighting. It can also be installed with electricity generators on a building façade to provide unique architectural identify. © 2008-2018 Avoid Obvious Architects. All rights reserved.